India’s Kempegowda International Airport, Bengaluru or the BLR Airport is one of the country's fastest growing airports. It operates close to 500 flights a day and handles over 19 million passengers a year. ThoughtWorks is the consulting partner who owns BIAL's business challenges, identifies new opportunities and questions the traditional. ThoughtWorks is on top of the competitive dynamics. Their technological strengths make them the right partner to help us achieve our goal of being a Smart Airport. We want our travellers to love and talk about it, when they travel through us. The collaborative ThoughtWorks and BIAL team saw merit in enhancing customer experience through a ‘tech- at-core’ digital approach, rather than launching just another app like most others in the aviation industry. The result? A comprehensive digital strategy of continuous designing, building, validating and refining solutions. A key feature of the strategy is a digital platform that adapts to the airport’s evolving digital needs. All through the first phase of the project, ThoughtWorks created a continued set of experiences that has had a sustained and positive influence for BIAL. 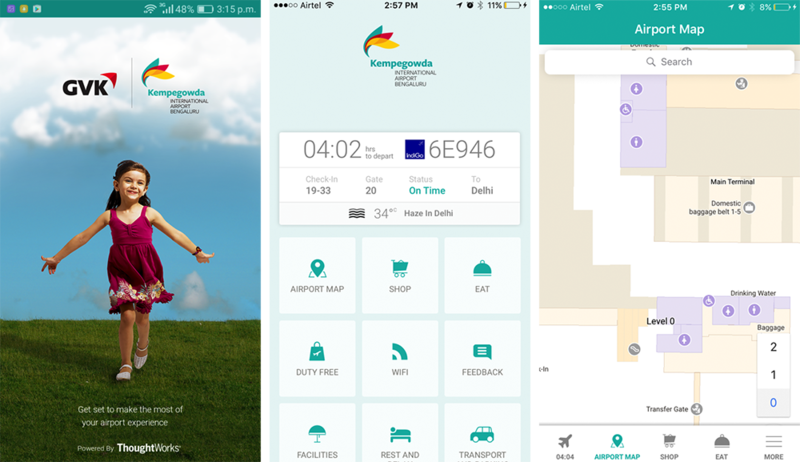 This translated into the first product from the intended bouquet of digital services – the BLR Airport app. Three assets have gone live, to date - an iOS app, an Android App and a DM service on Twitter, where BIAL’s followers find out about flight statuses through the social channel. The digital platform, apart from hosting the app, also hosts capabilities like data, context awareness, multi tenancy, extensibility etc. For example, BLR Airport is the first airport in India to integrate with Google Indoor maps. The apps, as of today, have seen downloads of up to 7200+ for Android, 2450+ for iOS and enjoy a customer rating of 4.6/5 on both, usability and experience. Through their systematic, collaborative and planned approach, ThoughtWorks has ensured that our app is one of the world's most nimble and intuitive. We look forward to the next phase of collaboration. 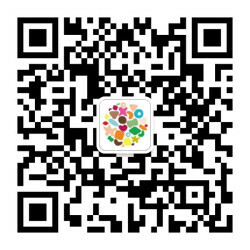 ThoughtWorks’ design of the digital platform makes it compatible with beacon technology. This ensures that passengers, based on proximity, are sent notifications on time/distance to boarding gate, shopping offers etc. The platform also integrates with airport operations to send flight status updates, directly to passengers’ mobile devices. The success of the first couple of steps down the digital roadmap have strengthened the resolve to commit to the follow through. This means, BIAL stakeholders understand ThoughtWorks' philosophies of custom software development, engagement models, delivery models and owning the infrastructure. KIAB wants to transform customers' airport experiences. Every new digital introduction will combine innovation and emotion because we strongly believe that digital is more than just technology.